A former industrial site in Gainsborough has been transformed into much-needed homes for young people thanks to collaboration between a leading supported housing provider, West Lindsey District Council and the Homes and Communities Agency. 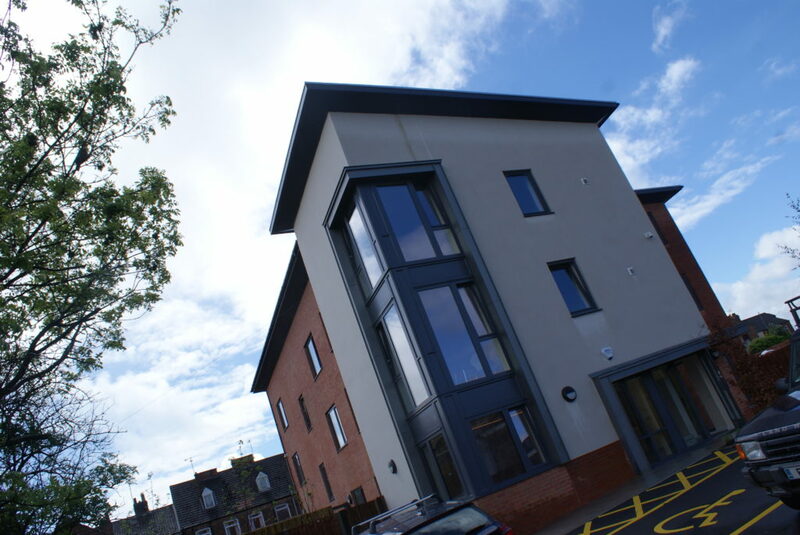 Axiom Housing Association acquired the site in Wembley Street from housing group, Acis last year, enabling it to develop it as part of a satellite extension to its Market Rasen Foyer. Foyers provide supported accommodation for young people aged 16 to 25 years old. As well as a safe place to call home the scheme offers personal support, training and employment advice. The new foyer accommodation, which has space for 12 young people and is rated as BREEAM Very Good, has been designed by Allan Joyce Architects and was built by Woodhead Living, the specialist sustainability team of Robert Woodhead Limited. The scheme was funded by a £200k grant from West Lindsey District Council and a further £288k cash injection from the Homes and Communities Agency’s Homelessness Change funding initiative. Cllr Owen Bierley, Chairman of the Prosperous Communities Committee at the council said: “I am looking forward to visiting the new young persons’ accommodation scheme in Gainsborough. Alan Lewin Chief Executive at Axiom, added: “We’re very proud to open this new foyer, which will enable 12 young people to have stability in their lives while gaining new skills and confidence to live independently. Craig Pygall Construction Director, from Robert Woodhead Ltd, said: “This has been a fantastic project and a real team effort, working in partnership with Axiom and West Lindsey District Council. I know the scheme and the accommodation will provide a valuable and much needed support service for vulnerable young people.